Why get a new console and expensive games when all you need is a decent emulator and some smart apps to go with it? Here’s how to get PSP games for Android the easy way without spending hundreds of dollars on nostalgia. Every millennial gamer remembers the good old days when Sony brought the concept of high definition gaming to a smaller screen with the PlayStation Portable. The graphics were almost as good as the PlayStation 2 and an instant hit with the crowd, especially when the age of mobile gaming was yet to dawn. Fast forward 13 years, your regular flagship Android device comes with a phenomenal display and plenty of supportive hardware to give the Sony PSP a run for its money. However, one thing you don’t get right away are some of the best PSP games for Android, since they are a PlayStation Portable exclusive, or just too old to be recreated. Since you’re on Android, the possibilities are limitless with the Google Play Store with its millions of apps by your side. One such outstanding feature is the ability to play some of the classic games from gaming consoles of yesteryear, giving you the power to make PSP games for Android work effortlessly. All of this becomes possible thanks to PPSSPP – a PSP emulator for Android. In its essence, PPSSPP is an emulator, quite like the ones you might have used on your computer to run a software or a game that is exclusively made for a specific console or platform. 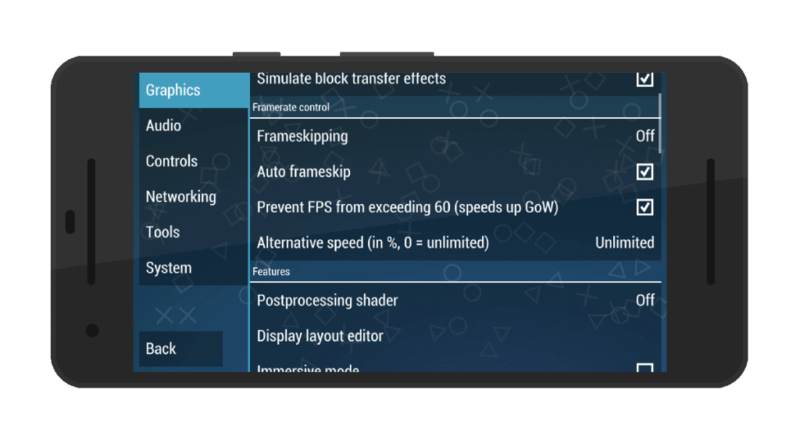 Similarly, PPSSPP is an open-source app that enables you to make PSP games for Android work smoothly at full resolution with no frame drops or lagging whatsoever. Apart from simply playing a PSP game on Android, the emulator app even allows upscaling the textures in the game to make the visuals appear better on the modern-day Android devices. As for the buttons, PPSSPP offers the entire key map of the PSP in the form of customizable touch buttons which you can also remap to work with a controller. All you need to play a game with PPSSPP on Android is the .ISO file of the game and enough storage space and you’re set. You can even transfer the saved files from your PSP console to your Android device and start playing right where you left off. However, the only caveat is the fact that .ISO files of games are a copyright of the game developers, so downloading them for free lies in the legal grey area. 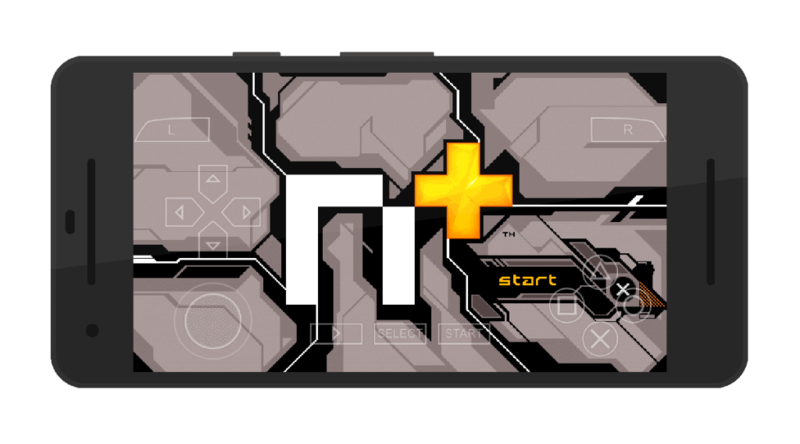 Now that we’ve already discussed what the PPSSPP emulator for Android is capable of and given you the only reason you shouldn’t use it, the decision is yours. If you do want to go ahead with the plan and get yourself some of the free PSP games for Android to run PPSSPP, we certainly won’t stop you, so here’s what you need to do. As you may know already, all your original PSP games come loaded on a disc drive which is called PSP UMD (Universal Media Disc). Since there is no way to make a UMD play on your Android device, you need to go through the backdoor and fetch the .ISO file (or .CSO file) that is stored on the UMD drive. While it is even legal in most regions to extract the .ISO or .CSO file from the PSP UMD and retrieve it for personal use, and you can find the steps on how to do so on the PPSSPP FAQ section. However, you’re more likely to look for a source to fetch these files online and while we can’t link you to portals directly, we can point you in the right direction. Simply Google – Download “name of the PSP game” .ISO PSP – and you’ll find plenty of links to get the game file. Most search results should be either from Emuparadise or CoolROM, both of which are longstanding and popular websites to get the ISO. files you need to make PSP games for Android work. Just to be sure that the game works flawlessly, here’s a list of all the PlayStation Portable games that have been tested to work with the PPSSPP emulator for Android. If you’re rocking something like the Galaxy Note 8 with a whopping 128GB storage and no content to fill it up, you can choose to skip this step. Since .ISO files for PSP games can be rather large with some even upwards of 1GB, you might need to consider compressing the .ISO files to keep your smartphone storage from bulking up. While you can always head over to your computer to reduce the file size of your .ISO file and turn into a .CSO file, why not do it right from your Android device? Thanks to an app named CISO, you can substantially reduce the file size of the PSP games for Android. The app is capable of compressing .ISO files up to 9 levels, along with the ability to decompress .CSO files if they don’t work as expected. However, the only limitation to the free version of the CISO app is that you can compress .ISO files to a limit of 768MB, which should be plentiful for most users (or simply get the key). Once you have the .ISO file downloaded and saved to a location on the local storage of your Android device, launch the CISO app. Using the Input slot at the top of the screen, select the location where you have stored the .ISO file and tap on Select. Similarly, use the Output slot right below it to choose the location where you want to save the resulting .CSO file. Once you have an input and out file location selected, use the Compression level slider bar and slide from level 1 to level 9 to select your level of compression. Select the box in front of Check MD5 just for a quick verification and press the Start button to begin the compression process. You will be able to see the entire process as it takes place, with the screen showing you the time elapsed, remaining time for the process, compression ratio and the amount of data read and written. Note: Some users have reported that the CISO app is a bit buggy and the .CSO files are slow to load (since they are heavily compressed). For the best gaming experience, we suggest you keep the .ISO file intact and diagnose the storage issue with an external storage solution like a MicroSD Card. 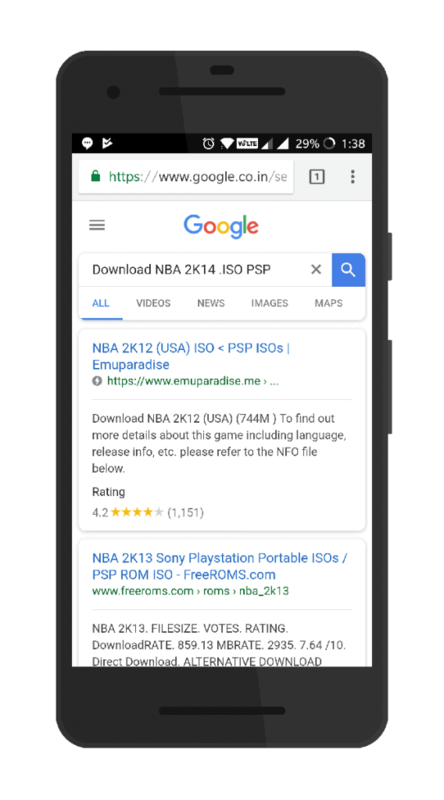 Now that you have the .ISO or .CSO file ready and done, all you need to do is launch the file using the PPSSPP app you downloaded using the link given below. Once you have downloaded the app, start off by granting PPSSPP the required permission to access your device’s storage. This will bring up the file directory of your Android device, so use it to navigate to the folder where you have stored the .ISO file you downloaded. Once in the file location, you’ll be able to see the icon of the game that you have downloaded, so tap on it to launch the game. It’s that simple! 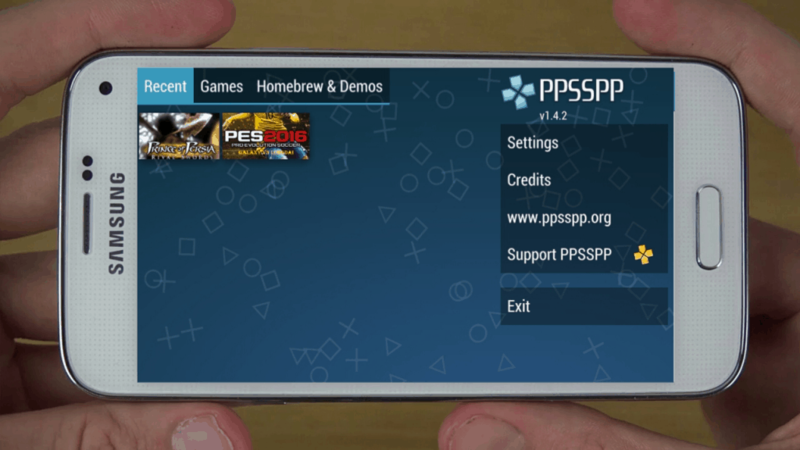 On most of the latest Android devices that pack enough hardware power to match the PSP, you will hardly ever need to look into the Settings menu of the PPSSPP app. However, we did find a couple of options that will help you make PSP games for Android run smoother or even improve the display quality of the games if need be. From the main screen of the PPSSPP app, tap on the Settings icon on the right side of the screen. Under the Graphics tab, scroll down to find the Performance section of the settings option and tap on Rendering resolution. Set the Rendering resolution of the display to Auto (1:1) for the best visual experience. Similarly, use the same section to open Display resolution (HW scaler) and set it to Auto (same as rendering resolution) and go back to the main screen. Simply tap on the empty checkbox next to the Auto frameskip option as well as the checkbox next to Prevent FPS from exceeding 60 option on the screen. You can also scroll down to the Performance section and enable features like Lazy texture caching and Disable slower effects to improve the gameplay quality. You’ll notice right away that the PSP games for Android run much smoother with the right performance options enabled. The only thing you’ll now need to complete your PSP/Android smartphone is a game controller to go with it. While the virtual gamepad that comes with the PPSSPP is incredibly responsive, you’ll soon begin to miss the clickety-clack of the good-old gaming controller. Over the years, PPSSPP emulator has been updated to support almost any gaming controller along with control mapping, but we suggest using a PlayStation controller for minimal configuration. 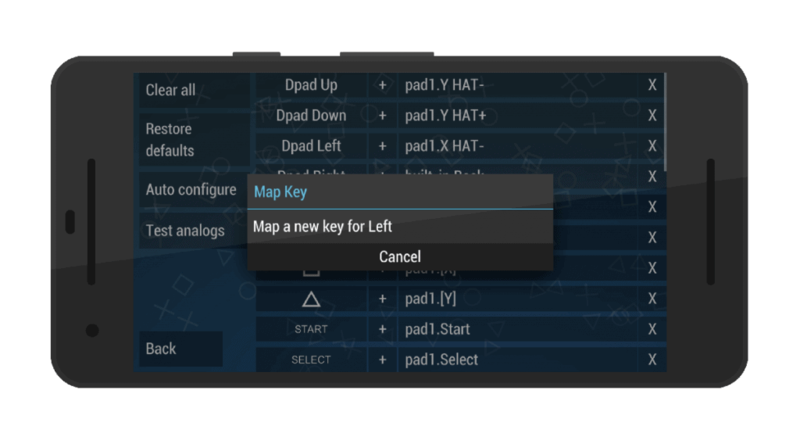 If you have an older PlayStation 3 controller, you can connect it to your Android smartphone or tablet with a USB cable, as long as it comes with OTG support. However, a PlayStation DualShock 4 controller can be connected straight via Bluetooth for a tangle-free gaming experience. Open the PPSSPP app on your Android device, head over to the Settings menu and tap on the Controls tab on the left side of the screen. Press the Control mapping menu option and you will now be able to see all of the buttons that are present on the PSP, waiting to be remapped. With your gaming controller connected to the device, tap on each button that is shown on the screen and hit the same button on your controller to map a new key for that particular action. Follow the same process for all of the keys shown on the screen and recheck your changes by using the Test analogs tab on the left side of the screen. Once you have the controller keys mapped, go back and you’ll find your recently launched PSP game waiting for you on the main screen. You can always use the same menu option to change the mapped keys later on if the need be. Which are the PSP games for Android that you look forward to playing right away with the PPSSPP emulator? Is there something you want to add to this guide or need our help to set up your own portable gaming console? Be sure to reach out in the comments section below, or start a whole new conversation with our nerdy community on the Updato Forum.